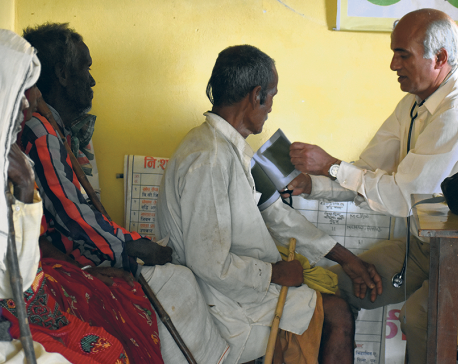 KATHMANDU, Jan 20: Nepal Medical Association (NMA) has drawn the attention of the government toward the deteriorating health condition of Dr Govinda KC, who is currently in the 11th day of his 16th fast-unto-death for reforms in the medical education sector. Stating that the government has not paid any attention to the demands of the agitating doctor, General Secretary of NMA Dr Lochan Karki on Saturday said in a statement that the government has misinterpreted the agreement reached with Dr KC to serve its own purpose. 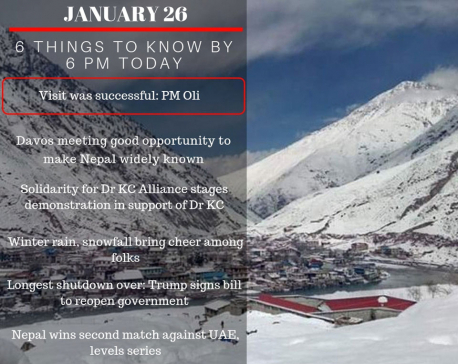 The NMA claimed that Prime Minister K P Sharma Oli's excuse that he cannot direct the parliamentarians to endorse an agreement signed in a situation pertaining at the time was a highly irresponsible statement. The umbrella organization of doctors has also warned that it will be forced to take an “unpopular decision” if the government does not meet Dr KC's demands soon. On Friday, Dr KC was brought to Kathmandu in an army helicopter. 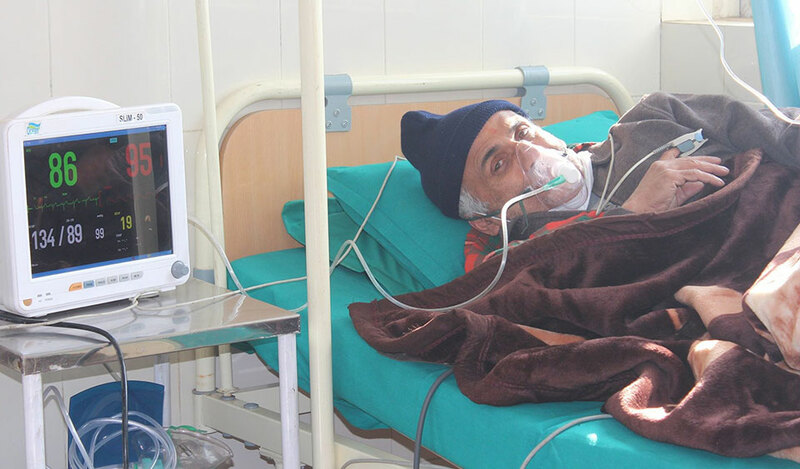 A team of doctors from BP Koirala Institute of Health Sciences, Dharan which had arrived in Ilam to assess Dr KC's health condition said the pace of his deteriorating health was alarming and recommended Dr KC's treatment in an intensive care unit. As a result, Dr KC was flown to Kathmandu. Dr KC is currently in his 16th fast-unto-death. On Thursday, four former government officials had arrived in Ilam to express solidarity with Dr KC's demands.